Fiat / Lancia Tappet / Valve Bucket - Shims. FIAT MODELS. LANCIA BETA - TREVI 1972 > 1985. LANCIA DELTA 1979 > 1992. NEW - DIRECT FROM ITALY - EXCELLENT QUALITY. See Photo above. Ensure Engines & Gearboxes are filled with correct oils to the correct levels. Lancia Appia 2ª serie de 1956-1959. se ajusta a esto Al realizar un pedido desde los EE. Tre volumi. 10.75 - 06.78. 10.85 - 12.87. 10.85 - 12.93. Codice motore: 149 C1.000. Codice motore: 138 C2.048. Codice motore: 138 A1.000. 01.83 - 04.85. FIAT 55190249. LANCIA 55190249. Croma 2.4 JTDM 20V 07/06. Brera 2.4 JTD 20V 2006-. Spider 2.4 JTD 20V 2007-. Alfa 166 2.4 JTD 20V. Thesis 2.4 JTD 20V 2003-. Alfa 159 2.4 JTDM 20V 2005-. Rif Originale: 4300760. Kit 2 valvole aspirazione. Kit 4 valvole aspirazione. Per Lancia Beta - Beta Coupè - Trevi. Per Fiat 132. Esperienza e professionalità al vostro servizio da oltre 50 anni. Codice prodotto: (F183) (VL016700) ♥. Rif Originale: 5942727 - 7666228 - 46406854. Per Autobianchi Y10. Per Lancia Y10 - Y. Valvola aspirazione. Per Fiat Panda - Seicento - Uno - Tipo - Punto. 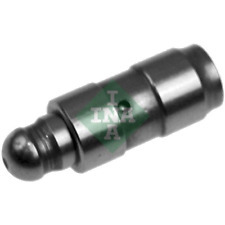 Ø testa valvola: 30.5 mm. Codice prodotto: (E916) (V91288) ♥. CHRYSLER VOYAGER & GRAND VOYAGER in years 2001-2007, with2.5CRD & 2.8CRD diesel engines. CHRYSLER/LANCIA GRAND VOYAGER RT in years 2008-2015, with 2.8CRD diesel engine. genuine SET OF 16 valve STEM SEALS for. Doblo 1.4 GPL 2010-. 198 A4.000 GPL. Delta 1.4 GPL 2011-. Set of 16 Valves 8 inlet & 8 exhaust. Inlet 55225886. Inlet 26,8x6x95,2. Exhaust 55225887. Exhaust 23x6x94,9. LANCIA DEDRA. TIPO & TEMPRA. THEMA I.E. 8V PET. ALFA 164 TURBO. INLET VALVES. FIAT GROUP PARTS. rather than afterwards. or take more pictures. Lancia SG Nuova Delta 2000 16v HF - 1750 16v 132cv. 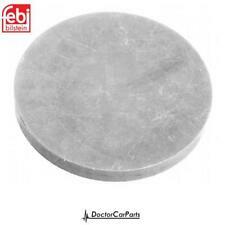 ENGINE VALVE SHIM 4.70MM. FIAT & LANCIA. before purchasing. rather than afterwards. or take more pictures. are suitable for their cars. CINQ, DOBLO, PALIO. DEDRA & DELTA. BARCHETTA. MAREA & STILO. GT, GTV & SPIDER. VALVE GUIDE. EXHAUST VALVE. or take more pictures. are suitable for their cars. Set of 16 Valves 8 inlet & 8 exhaust. Inlet 55225886. Inlet 26,8x6x95,2. Exhaust 55225887. Exhaust 23x6x94,9. PRICE FOR 16 UNITS! Original Part No Compatible with. 4300760 - 17011- VM1109. VALVOLA MOTORE. FIAT - LANCIA. NUOVA ORIGINALE - TRW ! VEDI FOTOGRAFIA ! VAUXHALL 93178588. 147 / 155 / 156 / new 147 / 159 / Alfa GT / Brera / 166 / BLS / Bravo / Stilo / Croma / Thesis / Astra H / Signum / Vectra C / Zafira B / 93 / 95. 8 Exhaust / Outlet Valves. CAN BE USED IN. Ventilsitzwinkel [Grad]: 45. 1 AUSLASSVENTIL. Die hier angezeigten Daten, insbesondere die gesamte Datenbank, dürfen nicht kopiert werden. Es ist zu unterlassen, die Daten oder die gesamte Datenbank ohne vorherige Zustimmung TecDocs zu vervielfältigen, zu verbreiten und/oder diese Handlungen durch Dritte ausführen zu lassen. 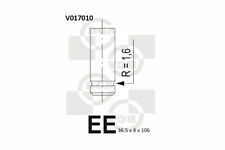 LANCIA DELTA 2.0 Exhaust Valve 89 to 94 AE 7650916. LANCIA 7 650 916. LANCIA DELTA I (831AB0) 2.0 16V HF Evo Integrale (831AB.027) Hatchback Petrol 06/1993 01/1994 AWD 16 211 155. LANCIA KAPPA (838A) 2.0 16V Turbo (838AB1AA) Saloon Petrol 02/1995 10/2001 FWD 16 205 151. Exhaust (Outlet) Valve. Murthering Lane. Brook Farm. Permatex Valve Grinding Compoud - 80037. PRICE FOR 4 UNITS! ================================================. 198 A2.000 350 A2/A3.000 198 A2.000/955 A3.000. Fiat 124 Spider todos (1968-85). Fiat 124 Coupe todos (1968-75). Fiat 124 sedán Wagon TC 1974. Lancia Beta (All, 1975-82). Fiat 131 Brava (All, 1975-82). Escorpión de Lancia Montecarlo (todos). Fiat parte # 5975341. LANCIA PHEDRA (179) 2.0 JTD (179AXB1A) 09.02 - 11.10 80 109 1997 4136-542. FIAT SCUDO Combinato (220P) 2.0 JTD 16V 05.99 - 12.06 80 109 1997 4001-291. 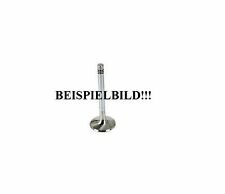 FIAT SCUDO Kasten (220L) 2.0 JTD 16V 05.99 - 12.06 80 109 1997 4136-018. || Engine Code: 8140.27. FIAT DUCATO Panorama (290_) 2.5 TD 4x4 Bus Diesel 06/1990 05/1994 AWD 8 95 70. || Engine Code: 8140.23. || Engine Code: 8140.63. FIAT DUCATO Panorama (290_) 2.5 TD 4x4 Bus Diesel 01/1991 03/1994 AWD 8 95 70. ENGINE VALVE SHIM. FIAT & LANCIA. before purchasing. 1100CC & 1.2. rather than afterwards. or take more pictures. are suitable for their cars. Inlet Valve. OEM Part Number 55229666. Engine Type 2 cylinder 8v Petrol. Engine Size 875cc. LANCIA DELTA Mk3 1.4 Exhaust Valve 08 to 14 BGA. LANCIA DELTA III (844_) 1.4 Bifuel Hatchback Petrol/Petroleum Gas (LPG) 07/2011 08/2014 FWD 16 120 88. LANCIA DELTA III (844_) 1.4 Hatchback Petrol 09/2008 08/2014 FWD 16 120 88. Exhaust Valve. OEM Part Number 55231897. Engine Type 2 cylinder 8v Petrol. Engine Size 875cc. (Fiat / Lancia (FIRE ENGINE) Tappet / Valve Bucket - Shims. Ensure Engines & Gearboxes are filled with correct oils to the correct levels. e) All parts must be fitted by a Qualified Technician. d) All our parts are marked.